Twinned with the Boleyn Workshop, Dorset England. 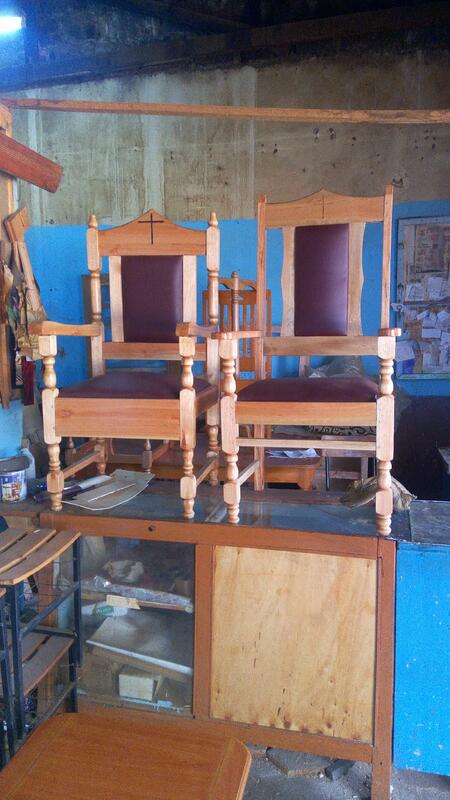 Welcome to the twin workshop page for Zak Muchina who runs the Zakwood Workshop in Embu, Kenya. Have a look at the picture and gallery below to view some of Zak's work. I have temporarily removed his photo as it wasn't of him. For the story of how Zak and I became acquainted despite the massive distance between Dorset and Embu read this blog entry From the Boleyn to Chelsea. 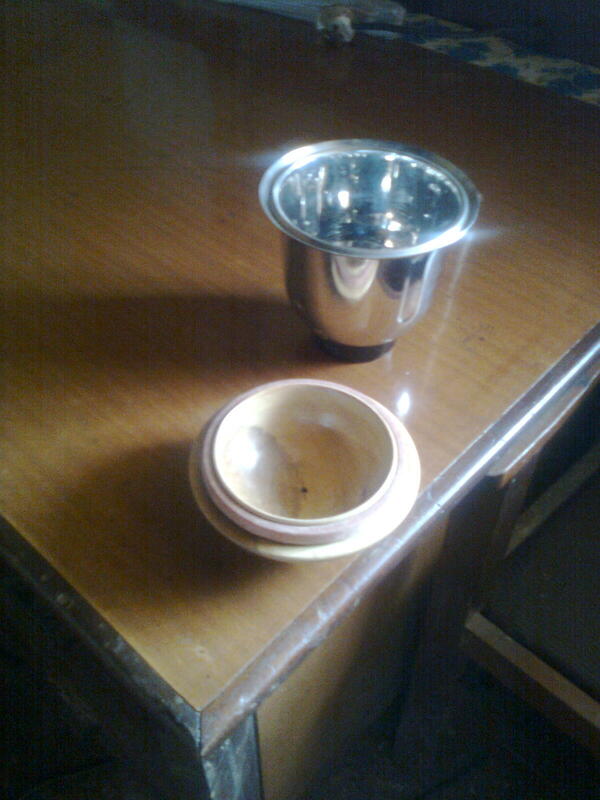 Ah...his faithful Coronet Minor that I supplied some spares for and indeed brought us together. This Minor Universal Woodworker used to belong to Ray Pearson, the Chelsea Pensioner who contacted me through the website to enquire about a spares donation. 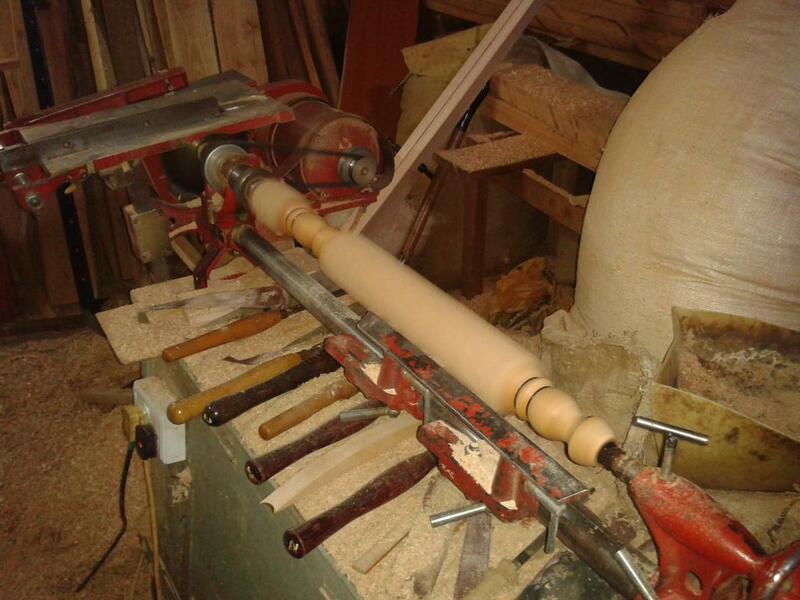 Ray donated practically the entire contents of his woodworking shop including two lathes to Zak via Workaid. Zak needed some new planer blades. When supplied as new they are 7/8" in size and once reduced by wear down to 5/8" they are finished as a planing blade. Fortunately I had recently been kindly given a spare set in good condition by Mark Burns and asked Zak what else he could use. The phosphor/bronze sleeve bearing he said and possibly a spindle? His luck was in as I had just taken possession of a rusting heap of red metal cunningly disguised as an old Minorette for spares. 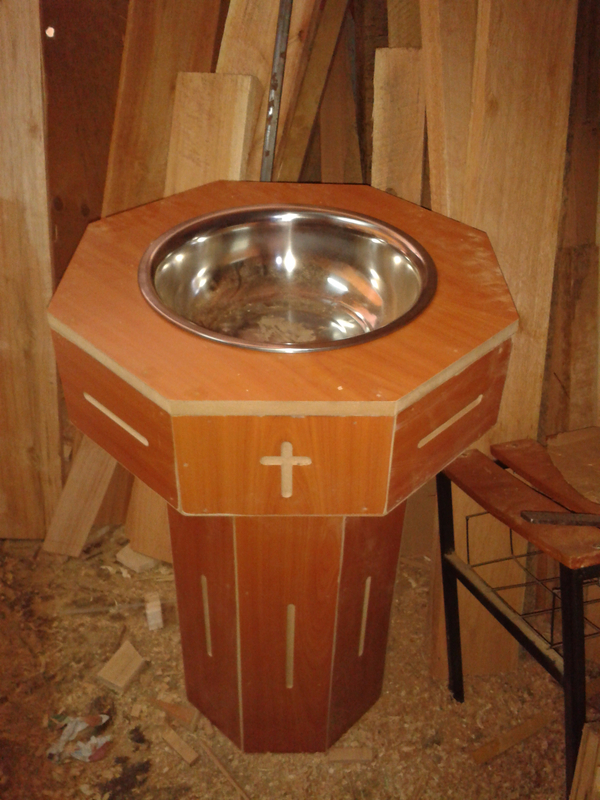 I delivered these parts to Ray at the Chelsea Home whose original plan to pass them on to a visiting priest soon to return to Embu sadly fell through. It was up to Ray to personally fund transportation of the spares by courier which he duly did. Top fella. Above are some recent items of Zaks work. 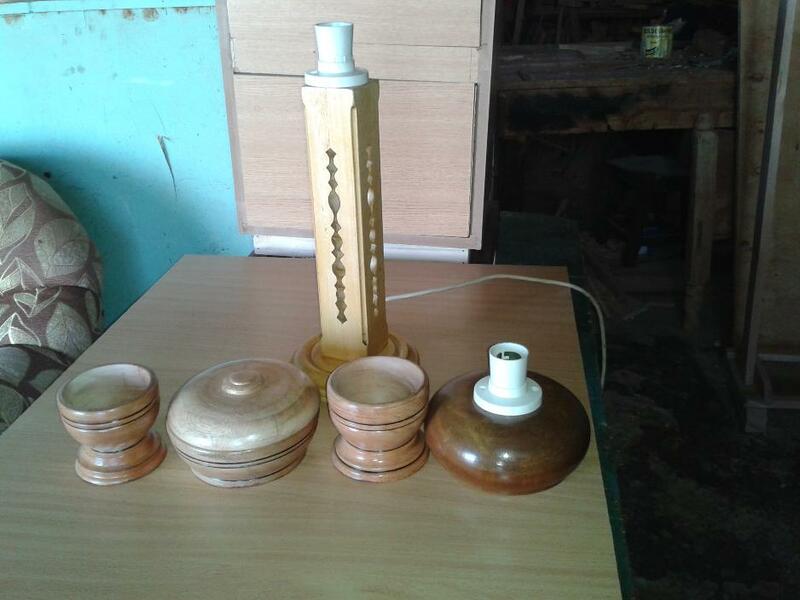 Two light stands and three bowls turned from a local hardwood. Nice work. And below are two of his latest pieces. 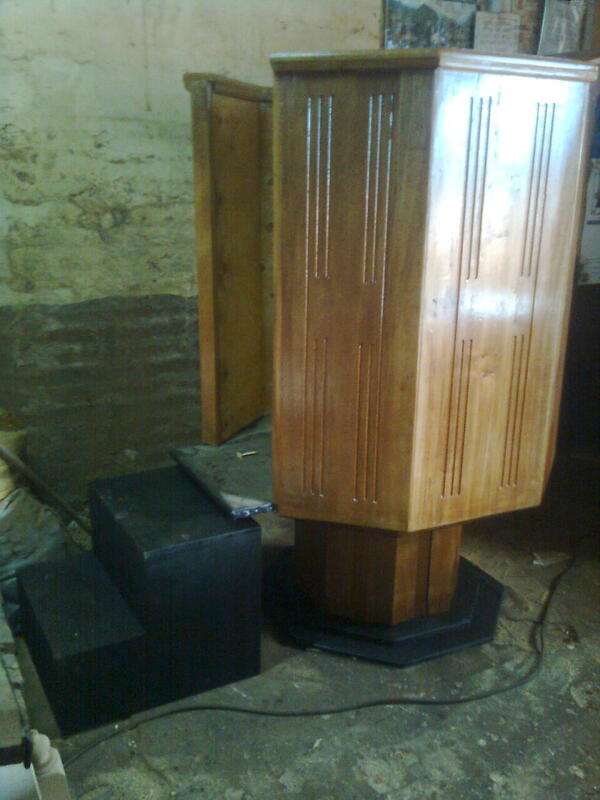 The first is a tv cabinet which will be fixed via the protruding beam. 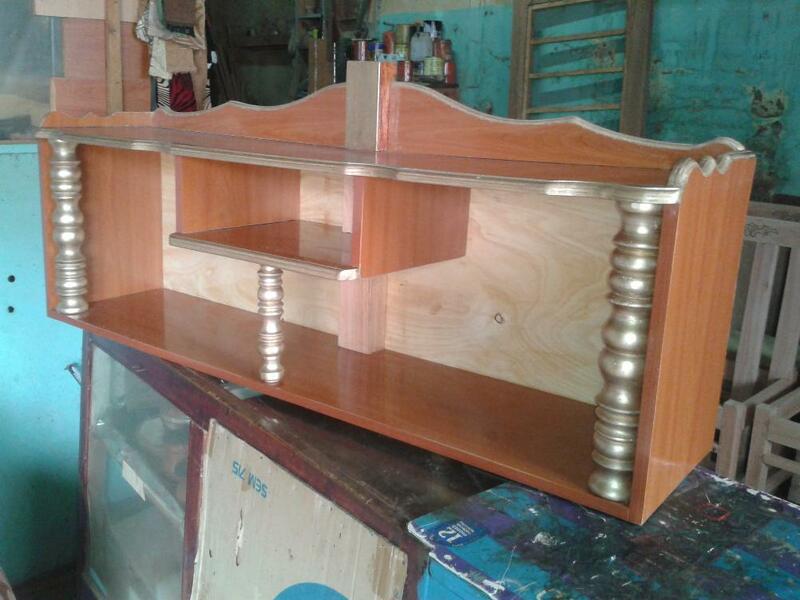 He turned the spindles for some decor and finished them in a golden stain. 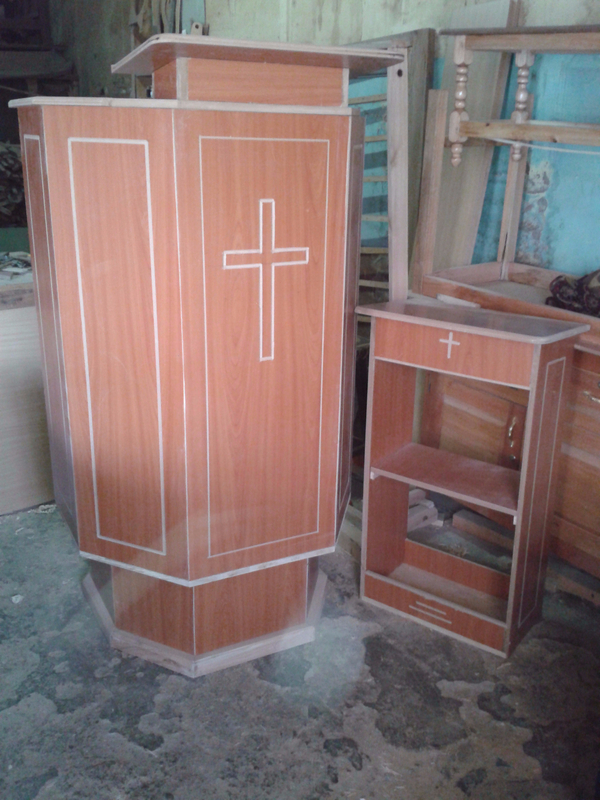 The second piece is an altar table made from bluegum wood and mdf. 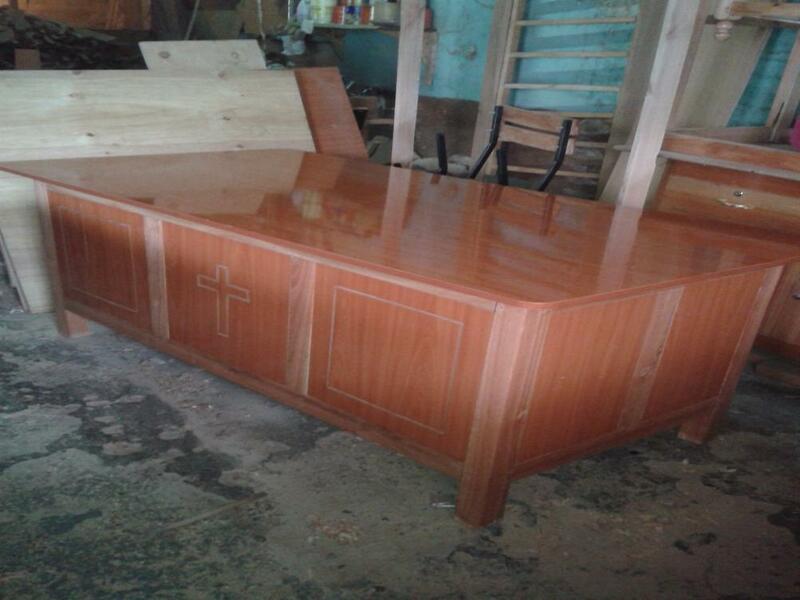 That is an excellent finish on it and I'm sure the recipients will be very proud to have it in their church. 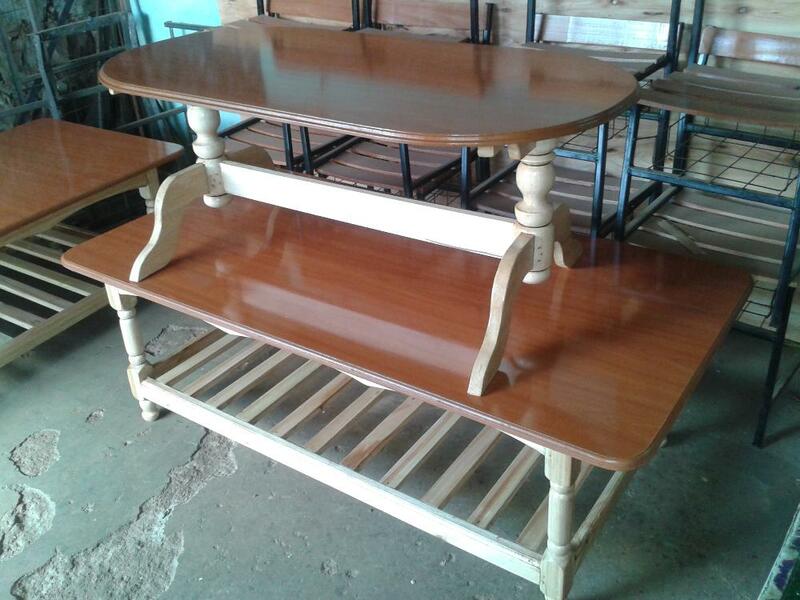 Zak's latest offering is this superb coffee table. 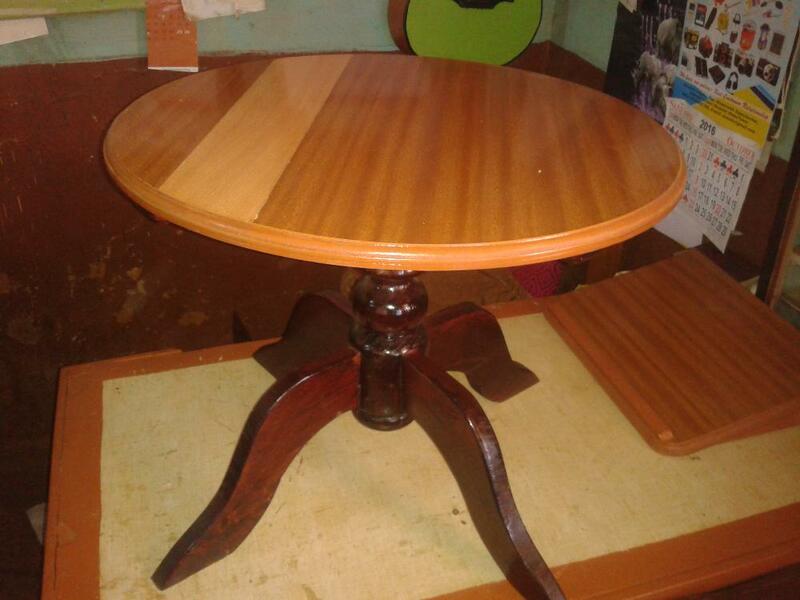 Below is a tidy looking dining table that Zak has asked me to post to the site. 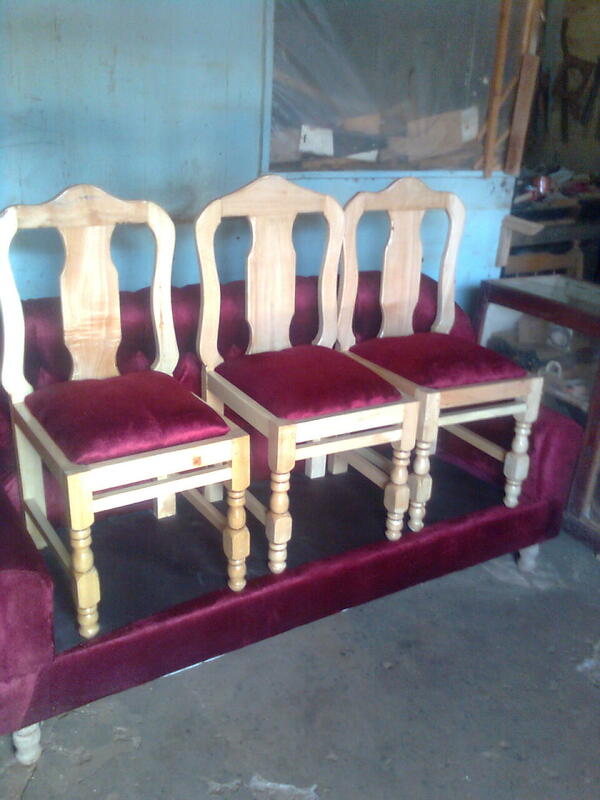 And these excellent upholstered chairs. Zak and I are in regular contact and in his recent email he sent the above pictures for adding to the page. I had asked him previously whether there were any spares needed. 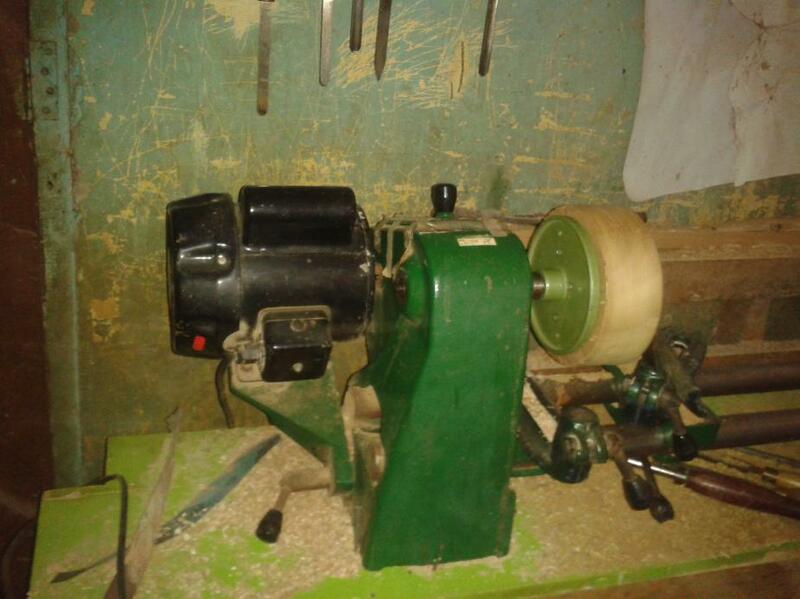 He asked about the possibility of a face plate for the Minor and also if there was a chance of more planer blades as his business was dependent on a working planer. A six inch face plate was easy to locate and fortunately a set of blades appeared on an online auction site which I bought to add to a spare pair I already acquired. I liaised with Workaid who are kindly allowing my donations to piggyback their next container to Kenya. Seven months later and I have received an email and photo from Zak which says it all. 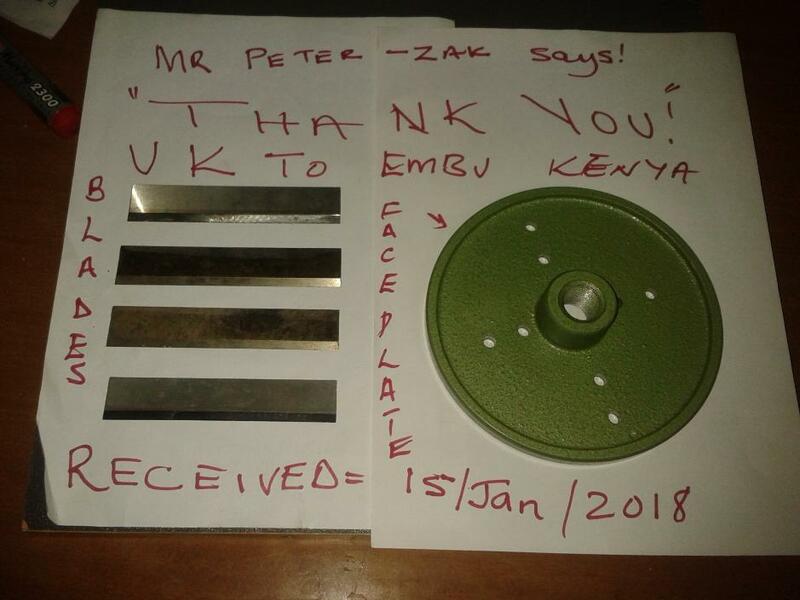 Zak had to trek approx 80 miles to Nairobi to the YWCA centre which was the collection point for the consignment of tools aboard the recently arrived Workaid container 'Leah'. That is approx seven months from request to delivery. Even by Boleyn Workshop standards that is a long time! PS You're welcome Zak, anything for a Twin Workshopper. 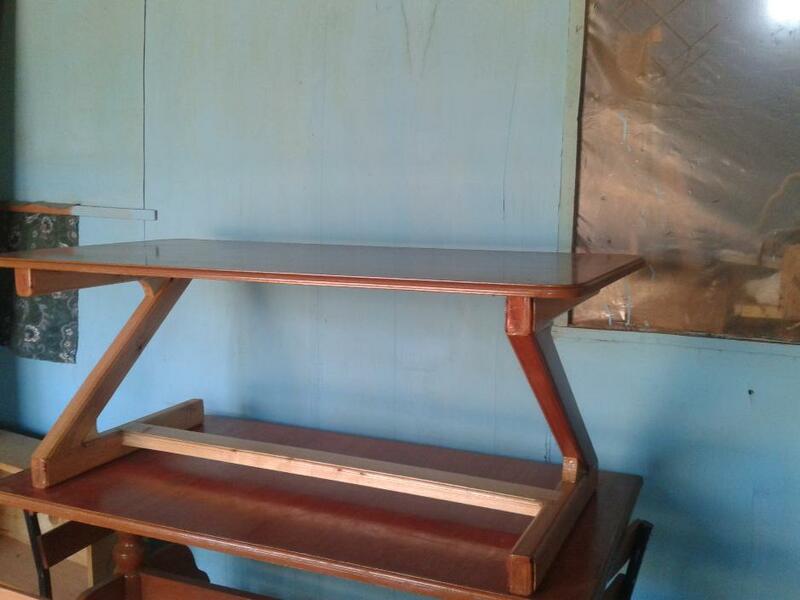 Below is a Z frame table which is the latest from his workshop. Next Zak is going to send some pics of bowls turned on the new faceplate but first here it is in action fitted to a Coronet lathe donated by Ray Pearson. I think that is a Coronet No 1 though I am not at all familiar with the green machines. 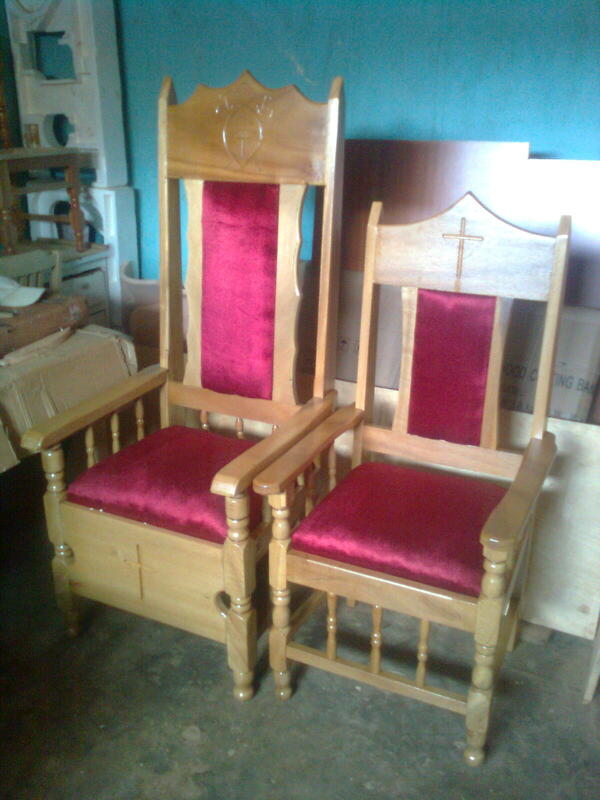 Here are a couple of church chairs which are Zak's latest project. 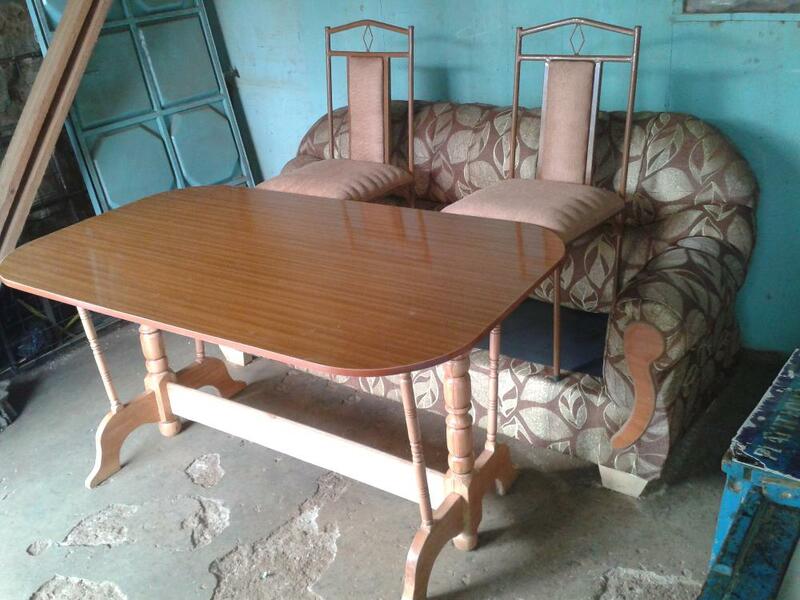 Great workmanship as ever. 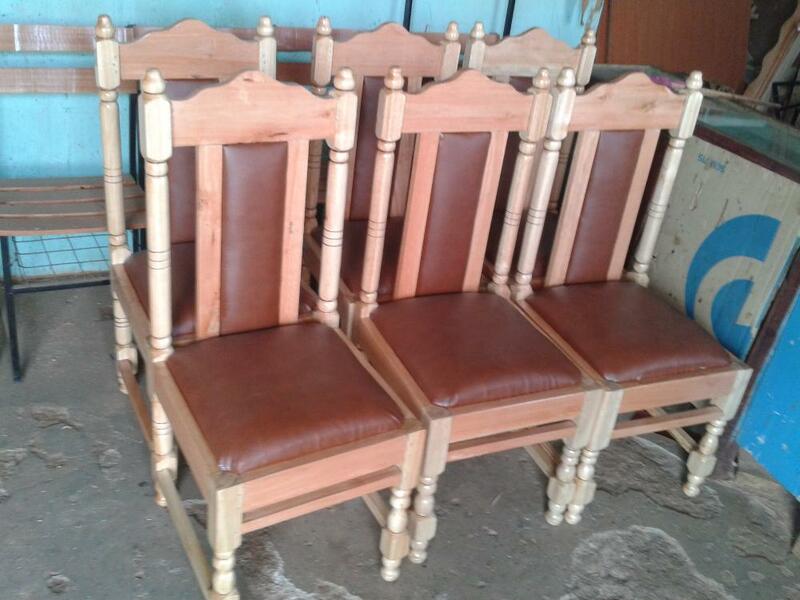 It is nice to see some turned legs on chairs again.